We’ll explain the differences to help you make the best choice for your goals! You want to work on your flexibility but you’re not sure where to start. You might see an advertisement for a yoga studio or your friend’s post on social media celebrating their flexibility progress with StretchIt. But how do you know what’s right for you? When you want to improve your flexibility, boost your mood, and change your body, what path do you take? 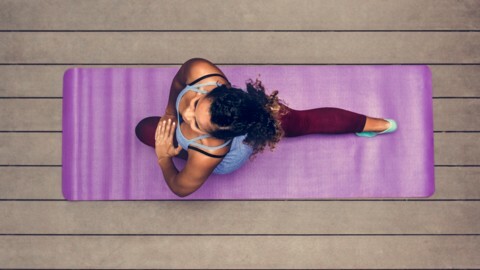 If you train with StretchIt, you’ll find that it incorporates some technique from yoga but that it represents a distinct approach to flexibility training. We’ll help you navigate the differences and figure out what’s best for your goals! Yoga’s booming worldwide popularity has earned its place as a centerpiece in the fitness industry. With thousands of classes available online and at studios around the world, yoga options are at every turn. 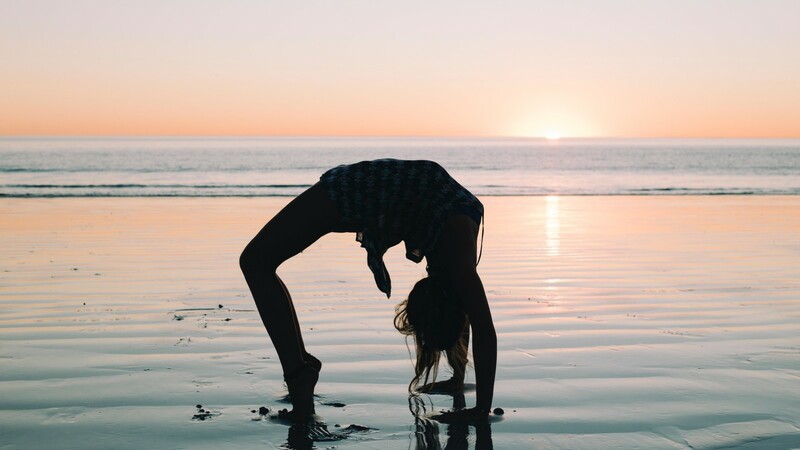 There is a wealth of yoga methodologies available to practice, from Hatha to Ashtanga, Bikram to Kundalini…the list goes on! But back to the basics: what is yoga, exactly? Yoga (noun) yo·ga \ ˈyō-gə \ 1. Capitalized: a Hindu theistic philosophy teaching the suppression of all activity of body, mind, and will in order that the self may realize its distinction from them and attain liberation. 2. A system of physical postures, breathing techniques, and sometimes meditation derived from Yoga but often practiced independently especially in Western cultures to promote physical and emotional well-being. In short, yoga is a physical and spiritual practice with origins traced to Ancient India. Yoga is exercise intended to prepare the body for meditation. Many schools of yoga have a system of postures claiming their roots in ancient religious worship. The history of yoga is complex but it has struck a chord with people all over the world looking to improve their health both mentally and physically. Now, we’ll introduce the StretchIt methodology and our approach. The biggest difference between yoga and stretching as taught by StretchIt is in the goal of each approach. StretchIt is intended to be a direct method for improving your fitness and flexibility. StretchIt’s approach draws technique from dance, pilates, gymnastics, functional fitness, and even yoga itself in order to safely and effectively provide a results-driven fitness routine. With StretchIt, each class is focused on a goal—whether it’s to get your splits, increase your back flexibility, or help you build full-body strength and flexibility. The goal with StretchIt training is to use the most effective exercises from different modalities in order to help you improve your flexibility in each area of the body. It’s a simple, goal-oriented approach. Many people find that yoga can improve their flexibility. 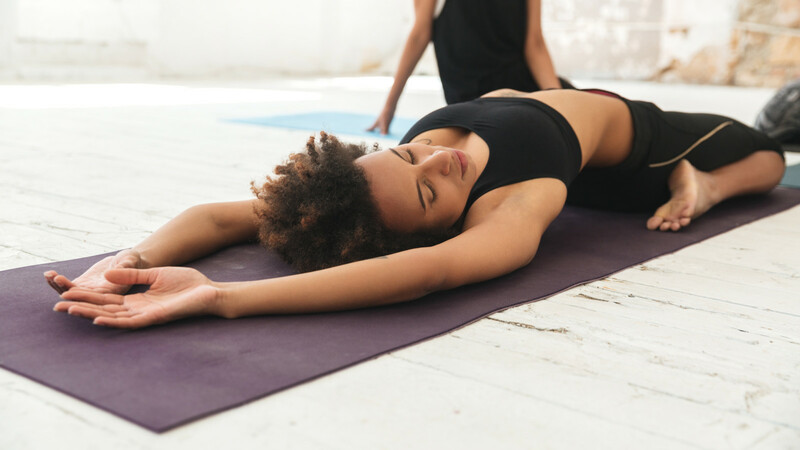 But one major distinction is that yoga doesn’t necessarily place its main focus on skills like front splits or middle splits (although it can provide exercises that help the body prepare to work on those skills). With StretchIt, we wanted to create a direct path to help you achieve your flexibility goals. We just love stretching and believe that our method will help other people fall in love with it, too! We’ve personally experienced the benefits of improved flexibility, and have had fun watching the amazing progress in our own lives. Even though stretching is an important pillar of overall fitness, it’s one that often goes overlooked. 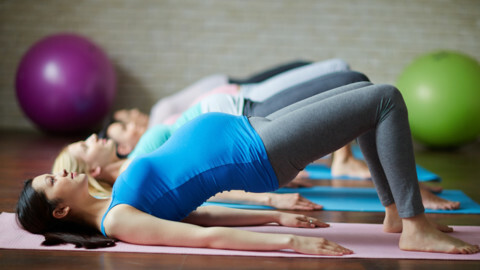 When you focus on flexibility either with yoga or with StretchIt classes, you’re doing your body a great service! Our mission at StretchIt is to provide high-quality goal-oriented stretching classes that can be enjoyed at any time, wherever you are. Our recommendation? Understand what your personal goals are—and commit! Yoga will help you learn sequences with spiritual roots as translated by modern day practitioners. It’s often linked to meditation and breathing practice and many yoga classes will include that component. If you’re goal-oriented and want to focus on a skill like front splits or just getting more flexible in a certain area like your back, hips, or hamstrings, StretchIt’s programming is designed for that purpose. Many people do a combination of other fitness classes with StretchIt classes in order to create their own optimal mind-body fitness routine. Experiment and try things out for yourself! Enjoy the journey and let us know what works for you. 1 “Stretching: Focus on Flexibility.” Mayo Clinic, Mayo Foundation for Medical Education and Research, 21 Feb. 2017, www.mayoclinic.org/healthy-lifestyle/fitness/in-depth/stretching/art-20047931.